Just here again to gush about how much I adore the West Coast and its backdrops but mostly just Oregon. I photographed an engagement session here last year and always jump at any opportunity to go back. 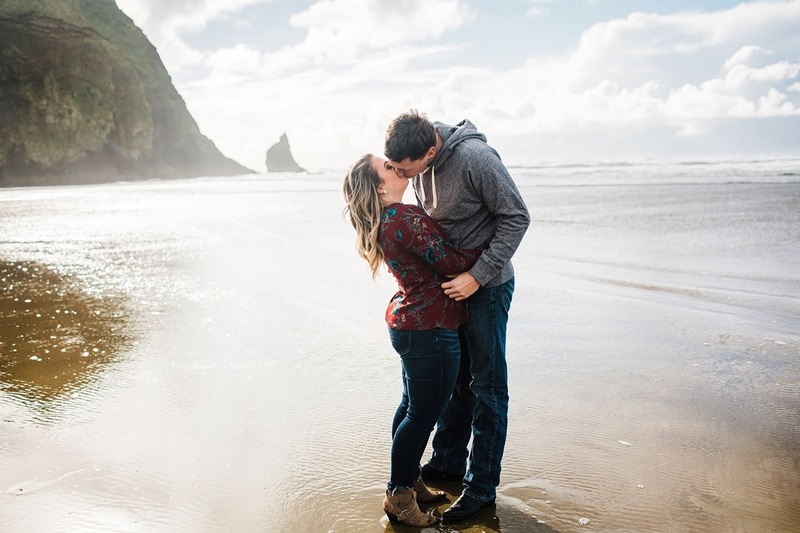 I especially love when I get to photograph couples who are just down to roam and run around and get their feet wet, and go barefoot in the dead of winter. Its fine, we’re fine. Also shout out to my photography best frand Lindsay from Memories by Lindsay for letting me second shoot with her this winter and this session. It’s amazing what photographing just to photograph for fun does to your soul.